One of the things I like the most are things that are FREE. Perhaps, this is the only reason I will watch Survivor (the movie). 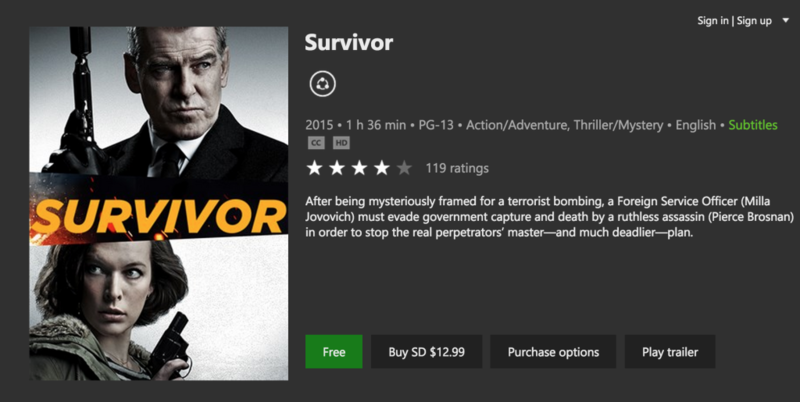 Released earlier this year staring Milla Jovovich (Resident Evil series) and Pierce Brosnan (Goldeneye), has 4.0/5.0 reviews from Xbox Video. However, received a 8% from Rotten Tomatoes and 5.5 from IMDB. This is restricted to the US only. Once added, you will have 14 days to watch the film on one of the following platforms: PC, Xbox 360, Xbox One, and Windows Phone. 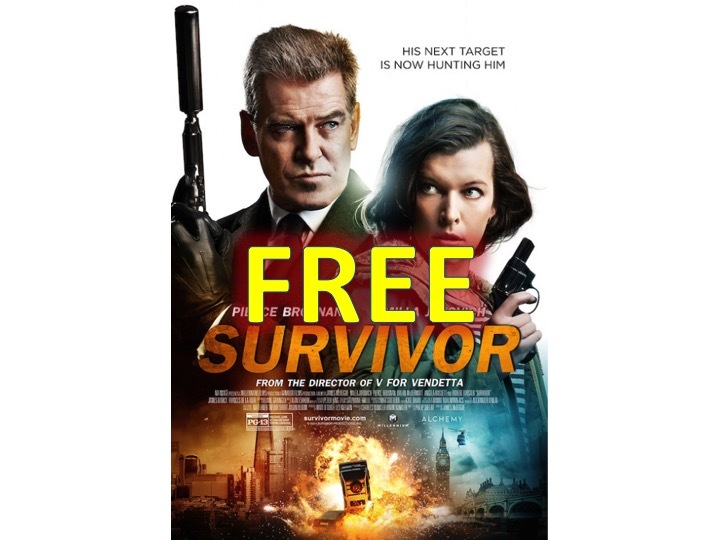 Click here to get our FREE movie rental now! Let’s hope that Microsoft continues these free movie rentals within the upcoming release of Windows 10!